They’re worked in a simple Lace Rib Pattern that’s a cinch to memorize, but creates a dramatic result, especially when worked in a gorgeous handspun, like the ones I purchased from Spincycle. Editor's note: for this pattern finished handspun yarn was purchased. 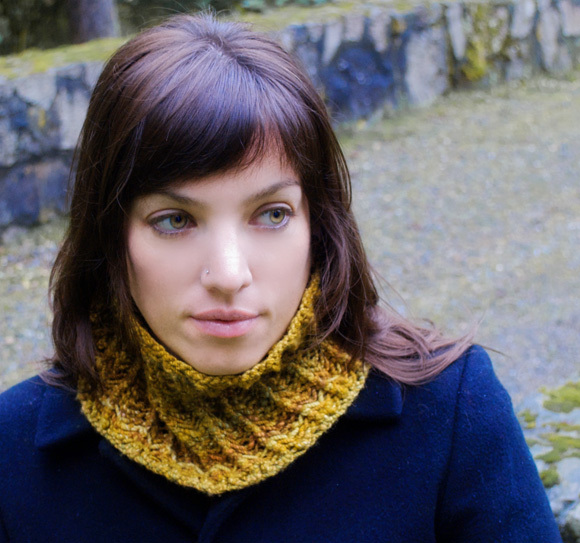 All of the cowls in this set are worked in the round in a repeating Lace Rib Pattern. 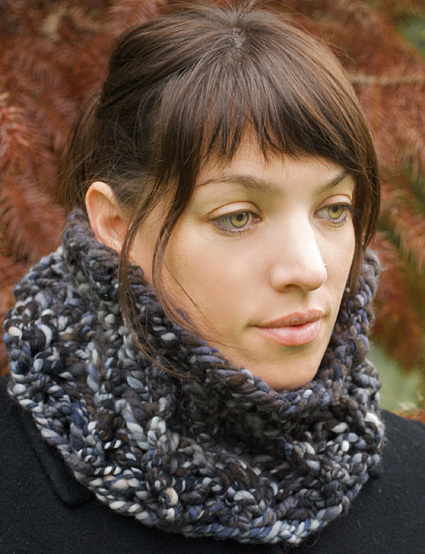 Each cowl is divided into four sections, each of which is a multiple of 4 plus 1 stitches. I recommend using stitch marker between each section. Using needles that have a sharper point is helpful in knitting and purling 3 stitches together in lace rib pattern. If you find it difficult to knit and purl 3 stitches together, lightly tug downward on knit fabric before knitting or purling the 3 stitches together. Note that the Lace Rib Pattern changes slightly depending on the gauge and size being knit. 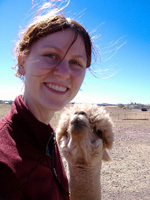 Directions are given for three weights of yarn – DK, worsted, and bulky – and two sizes – small and large. Work your cowl according to the directions below, making sure to get the gauge given for the weight and size you choose. CO 100 sts. Join for working in the round, being careful not to twist, placing marker for start of round. Rnd 1: *[K1, (yo, p3tog, yo, k1) 6 times]; rep from * 4 times, placing marker after each lace rib pattern repeat on first round. Rnd 2: *[K2tog, (yo, p1, yo, k3tog) 5 times, yo, p1, yo, k2tog]; rep from * 4 times. Rep Rnds 1-2 for Lace Rib Pattern until piece meas. 7 inches/18 cm or desired length. CO 52 sts. Join for working in the round, being careful not to twist, placing marker for start of round. Rnd 1: *[K1, (yo, p3tog, yo, k1) 3 times]; rep from * 4 times, placing marker after each lace rib pattern repeat on first round. Rnd 2: *[K2tog, (yo, p1, yo, k3tog) 2 times, yo, p1, yo, k2tog]; rep from * 4 times. CO 212 sts. Join for working in the round, being careful not to twist, placing marker for start of round. Rnd 1: *[K1, (yo, p3tog, yo, k1) 13 times]; rep from * 4 times, placing marker after each lace rib pattern repeat on first round. Rnd 2: *[K2tog, (yo, P1, yo, k3tog) 12 times, yo, p1, yo, k2tog]; rep from * 4 times. CO 196 sts. Join for working in the round, being careful not to twist, placing marker for start of round. Rnd 1: *[K1, (yo, p3tog, yo, k1) 12 times]; rep from * 4 times, placing marker after each lace rib pattern repeat on first round. Rnd 2: *[K2tog, (yo, P1, yo, k3tog) 11 times, yo, p1, yo, k2tog]; rep from * 4 times. See more of her designs on her website or visit her on Ravelry.